A CRPS (Complex Regional Pain Syndrome) diagnosis can be a relief to many people. Knowing that their pain is real, validated, and lending a name to everything they’ve felt possibly for years is a relief, mentally. 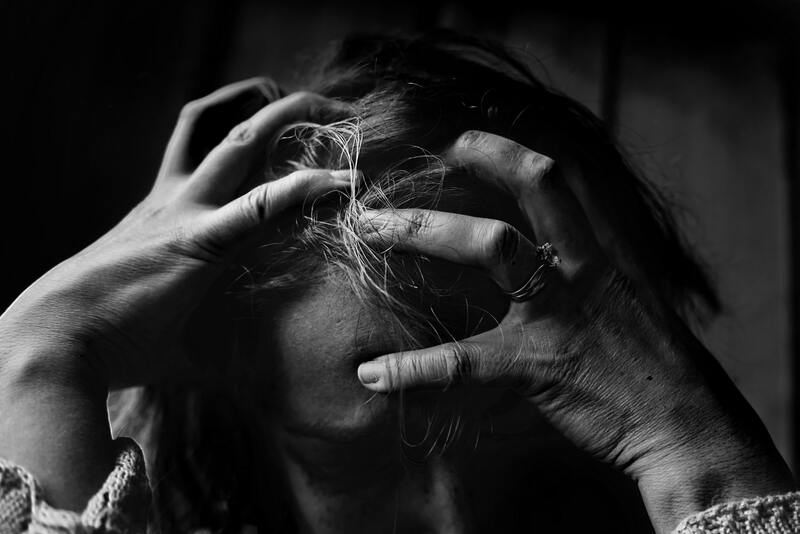 Despite the relief a CRPS diagnosis may bring to a patient’s mental state temporarily, the toll chronic pain takes on the psyche of a patient is immeasurable. Living with CRPS, a disease dubbed “the suicide disease” due to its lack of proven symptom relief, is an endless nightmare of doctors, treatments, procedures, and tests that all lead down the same road: endless pain and suffering both physically and mentally for which there may never be a standard cure. For patients, it’s often the emotional and mental anguish caused by the intractable pain that they cannot deal with. This is leading to high rates of suicide all over the United States and Canada. The knowledge that a patient is going to be in pain–possibly forever–is as debilitating as the physical pain itself. Whether a CRPS diagnosis is due to medical malpractice or an accident (these are what’s known as causalgia), retaining legal counsel to obtain compensation can ease the financial burden those afflicted with “the suicide disease” face; sometimes for the rest of their lives when left nearly bed bound and unable to support their family the way they once were. When do CRPS patients need a lawyer? What is “step therapy” and does it work for CRPS? What legal steps are taken in a CRPS case? What does an LOP provide for the client? It’s easy to pose the question “why does one need a lawyer to represent them after being diagnosed with Complex Regional Pain Syndrome?” and we’ve answered this question before, here on the Law Resource. However, the answer demands a far more in-depth explanation: an aside from the fact that of course, an experienced lawyer has the client’s best interest at heart and has the knowledge of prior Complex Regional Pain Syndrome cases under their belt, the answer to that question lies in whether a person’s CRPS diagnosis was caused by surgical error, medical malpractice, or an accident. CRPS II as it’s known, has a definitive cause for the pain (although regardless of Type, there is very little in the way of what can be done to relieve the pain). When it comes to legal representation after medical malpractice, remember: Rushing clients out the door with a minimal amount of compensation just to be able to say the case was won is not a lawyer with empathy or who upholds a high moral standing. A Board Certified lawyer will never treat their clients as a number, nor are Board Certified lawyers “paper pushers” or “claims adjusters” who have thousands of cases won simply because they obtained some meager amount of compensation, even if it wasn’t the highest amount deserved by the client! A Board Certified lawyer will truly understand the situation the client has been placed in, and they will have compassion for the circumstances, all the while maintaining a level head navigating the complexities of a Complex Regional Pain Syndrome case. Whether the case goes to trial or is able to be settled in mediation, a lawyer with CRPS experience will be prepared. Being Board Certified means a lawyer is held to the highest standard in their chosen specialty–that’s because Board Certification doesn’t come standard with the law degree. As we first explored in our CRPS series of articles in 2018, there are standard forms of medication that are prescribed to CRPS patients as first-line methods of pain control. These drugs are what’s known as “step therapy” and will be prescribed before experimental treatments or treatments with a higher risk of side effects are offered. While these first line pain control methods do work, not every patient will have success with the first treatment. In certain cases, insurance companies may require step therapy to be used regardless of its success rate. This “one size fits all” method of treatment is unfair to CRPS patients specifically, because they may have a better outcome with pain control techniques tailored to their severe chronic pain, even if it costs the insurance company more money. NSAIDs: Non-steroidal anti-inflammatory drugs are known to treat moderate amounts of pain. Most NSAIDs (without codeine) are available over the counter and should be taken according to the instructions printed on the bottle. Some name brand NSAIDs are Excedrin, Motrin, and Advil. Prescription only NSAIDs such as Celebrex, Voltaren-XR, and Ketorolac are much stronger and should be used with caution due to their GI-related side effects. As with all NSAID usage, a doctor should closely monitor liver function for those treating CRPS pain longterm with these medications. Anti-seizure medications: While these drugs were once strictly for the treatment of epilepsy, research is now showing doctors that they can effectively provide some relief-of-pain for those diagnosed with CRPS. Lyrica, Elavil, Pamelor, and Cymbalta are in the group of the anti-seizure medications that are recommended by neurologists in cases of CRPS. Each case varies and not every case may see relief with anti-seizure medications. Opioids: Morphine, Hydrocodone, and Fentanyl are common prescription opioids for severe pain. These are drugs that are highly habit-forming (addictive). A patient and their physician enter into a “Pain Contract” where the patient agrees to remain monitored by the physician for the duration of their opioid use. Most states now require these “Pain Contracts” or the medication cannot be dispensed. Physicians must monitor any patient prescribed opioid drugs as they can pose severe, longterm side effects that could be fatal if ignored. Other doctor prescribed treatments include: lidocaine patches, creams, and Voltaren––which is alternatively dispensed for topical application (a cream or lotion). Even when following an insurance company’s request for step therapy compliance, treatments for Complex Regional Pain Syndrome are rarely covered in full due to the chronic nature of the disease and the lifelong treatment it requires. If it is covered, there are only certain treatments that the insurance company will pay for (even after complying with step therapy). Experimental treatments and newer therapies (even if proven to have successful outcomes in certain CRPS cases) are not usually covered; the medical bills incurred paying out of pocket can be astronomical. The same can be said for Pain Management “PM”; this is a newer form of medicine that has risen to prominence for chronic pain patients over the last couple of decades. These therapies and treatments are often out of pocket for the already financially strained victim. Because of this, they continue to suffer for years without the correct medication and therapies that could afford them a better quality of life. So, now that we’ve taken an updated look at the medical side of CRPS, let’s look at the legal side and how lawyers are doing everything possible to provide successful outcomes for clients who have been afflicted by the disease. When a lawyer agrees to take on a client’s CRPS-related case, it’s usually because the diagnosis is found to be wholly caused by medical malpractice. Therefore, the surgeon and the hospital are able to be have a formal lawsuit brought against them for their negligence toward the patient. What happens next? When a patient afflicted by CRPS has secured a lawyer with experience in bringing successful CRPS lawsuits to verdict, the next step that follows the mountain of medical documentation and “Discovery”, there may be a Letter of Protection. Each case is different and as always, we encourage our readers to sit down for a consultation with a Board Certified lawyer regarding the specifics of their case. With an LOP in place for a client, their suffering may be eased by doors for treatment options being opened to them outside of prescription drugs and forced step therapy from the insurance company. Physical therapy, massage therapy, occupational therapy, aqua therapy, and mental health counseling all become available when a client retains experienced legal counsel that knows how to secure the proper treatment on the legal side for their client. Doctors work well with Board Certified lawyers because these lawyers are the ones who know how to get things done quickly, concisely, and with little unnecessary back and forth that can drag out litigation and therefore lengthen the patients suffering unnecessarily. Unfortunately, there are victims who suffer the relentless chronic pain caused by CRPS for the rest of their lives after medical malpractice. In these cases, the victim trusted medical professionals to care for them and treat their illness or injury. The patient may have been devastated to receive a CRPS diagnosis, learning they could very well be in pain for the rest of their lives. No patient should ever have to become afflicted by Complex Regional Pain syndrome due to the carelessness of a trusted medical professional. It’s important for the victim to seek Board Certified legal representation in the event that their CRPS was caused by medical malpractice. Board Certified Personal Injury lawyers–the ones in the trenches–know that behind the most complex cases are the victims who need justice the most.